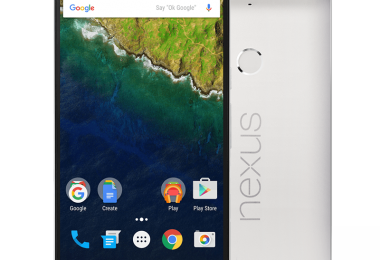 You might be able to reduce your phone bill. By half, or more! This one’s for real. 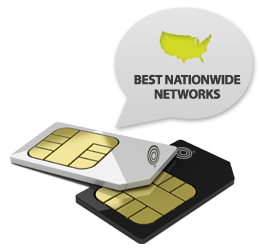 As of today, Straight Talk Wireless has a new offering – SIM Cards. 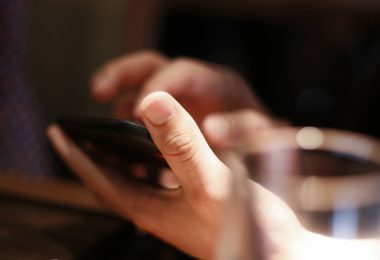 If you have any unlocked GSM phone that works on either the AT&T or T-Mobile networks, you can use that phone on Straight Talk by purchasing a $15 SIM Card and sighing up for their no-contract, no hidden fees or taxes, $45/month Unlimited everything plan (or less than $45 – check out my previous article on Straight Talk plans to save more). Now you can use Straight Talk on hundreds, maybe even thousands of different devices – including the Apple iPhone, iPad and many other smartphones, including Android phones! Straight talk is providing both a standard size SIM card as well as the micro SIM card for compatibility with just about any GSM phone! Today, Straight Talk begins selling SIM cards! (operating on 850 or 1900 MHz frequency bands), or an unlocked GSM phone. We are also offering the micro SIM card so customers can now have Straight Talk service with an iPhone! If you haven’t read about some of the benefits of Straight Talk wireless that have made it the fastest growing cellular company in America, be sure to check out my previous article on that topic. Continue reading for more information on Straight Talk SIM! I don’t have official word from Straight Talk, but it does appear that unlike Straight Talk’s Android offerings, which use the Sprint network, devices that use a Straight Talk SIM card should run on the nationwide AT&T / T-Mobile network. If you want further information on this, please see our earlier article on coverage areas to get detailed information on where the AT&T / T-Mobile Straight Talk network reaches. Straight Talk is offering 3G data speeds on this plan. You won’t be able to take advantage of the newer 4G speeds available, so you’ll want to consider this when you switch. However, for most people 3G is more than enough for their data usage, as it allows for decently fast surfing, music streaming, watching YouTube videos, etc. One thing to keep in mind is that they do not permit you to use your device as a modem. For most people, considering this is $45/month, that won’t be an issue, but it is something to be aware of. If you want, no one has to know that you’re saving big dollars every month on your cell bill, as you can port your number to a Straight Talk SIM and keep talking on your phone as before. This will work with existing and new phones alike. If you are spending big money on your smartphone contract – perhaps $70, $80 or more per month for limited minutes, limited texting and limited data, you should drop everything and consider purchasing an unlocked phone and a Straight Talk SIM card. You could save $420 a year if you are paying $80 a month now for service. If you even have a conventional talk contract with one of the big companies, chances are even you are paying $45+ a month already for a very limited amount of minutes / talk / text. Get the freedom of unlimited and keep your phone (if you want) and pay only $45/month. If $45/month is still too much for you, then consider Straight Talk’s “All you need” plan of 1000 minutes, 1000 texts and 30mb of data month for only $30/month. Phones that work with the Straight Talk SIM service. We have another article you may want to check out that contains a list of several popular phones that work with the Straight Talk SIM service as well as a more detailed guide to help you determine if your phone will work with Straight Talk SIM. If you already have an AT&T or T-Mobile phone, you can sign up today. If you have another GSM phone, first make sure it operates on the Straight Talk compatible frequencies (850 and 1900 MHz). You must also get the phone unlocked. Sometimes, you can get the phone unlocked by calling the carrier (especially if your contract has expired). It never hurts to try this first, as the worst that they can say is no. It’s probably best that you don’t tell them you are unlocking the phone so that you can switch carriers; they don’t really need to know this. They will either be willing to give you the unlock procedure/codes, or they won’t. If they aren’t, then go to your favorite search engine and search for unlock codes for your phone. YouTube has a good number of videos that go through the unlock process for many phones. Be aware that many of the search results you receive will be filled with results of people trying to sell you unlock codes and/or actually perform the unlocking on your phone. These services can be helpful, but use them as a last resort, as most cases you should be able to get the code from the carrier (Free) or from searching around (Free). Though your path may be easier with an AT&T or T-Mobile phone, Verizon & Sprint phones can also work with Straight Talk SIM. Once you have an unlocked phone (or have one on the way), proceed to Straight Talk SIM to purchase your SIM card. Once it arrives, place it in your phone by removing the battery cover and inserting the SIM card (on most phones). Follow the instructions that Straight Talk provides to setup your phone, and you’re ready to talk, text and download all you want for a low, no-contract price of $45/month. Be sure to check out our original article on Straight Talk to learn how you can save 10%+ on your Straight Talk purchase! Andy, I just modified the post above to include the exact wording that I received from Straight Talk. They told me (without me even asking) that they do indeed support the iPhone via the micro SIM that they sell. Straight Talk is known for their awful customer service so I would not be surprised if they told you the wrong thing. In the past, they have banned the iPhone, so you may have talked to a CSR that has answered the iPhone question thousands of times in the past and is not updated on the new offering. This SIM card offering is new as of this week, so their staff may not all be 100% educated on the new offering. okay here is where i get a little confused…can you really use a phone that is locked to at&t? I really want an android phone and the ones that are offered from straight talk have terrible (sprint) service in my area. at&t gets the best service here and i want to buy the samsung captivate glide but its a $500 phone and i dont want to buy it if i cant get it to work on straight talk. If your phone is locked to AT&T, it WILL work on Straight Talk. If your phone is locked to T-Mobile, it WILL work on Straight Talk. If your phone is any unlocked GSM Phone that operates on the 850 and 1900 MHz bands, it WILL work on Straight Talk. 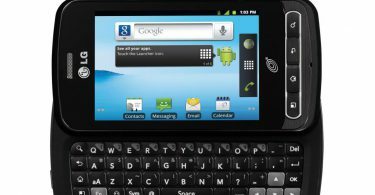 Hi i was wondering will the Samsung Captivate i897 work if its unlocked? Mayte, I see no reason why the Samsung Captivate i897 wouldn’t work. It appears to be an AT&T phone. You don’t even need to unlock it from my understanding, it should just work! According to Straight Talk, you can use any AT&T or T-Mobile phone that is locked to those networks. The reason for this is that basically you are using either the AT&T or T-Mobile network with Straight Talk, so it just works. If you bring in a phone from another GSM carrier, then you have to make sure it operates on compatible frequencies and that it is unlocked. 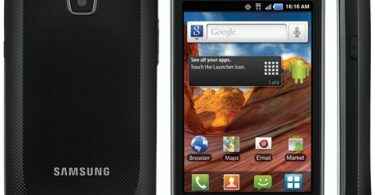 Will the new Samsung Galaxy Nexus GT-I9250 work for Straight Talk Sim it looks like it will as it has a GSM 850/900/1800/1900 (Quadband) WCDMA (UMTS) 900/1700/2100 Cellular Band. I just want to be VERY sure as I’ll be shelling out almost $600 for this phone. Thanks in advance! According to http://www.straighttalksim.com/support.php, the phone must have the 850 and 1900 Mhz GSM bands. Because the Samsung Galaxy Nexus GT-I9250 has both the 850 and 1900 Mhz GSM bands bands, it should work fine with Straight Talk SIM. Thanks for your question. Please come back and let us know how it works out for you! Has anyone researched any good recent phones that will work on the new straight talk sim service they now provide. It would be nice if we had a list of some of the compatible phones! Cheryl, I just put together a post that contains a list of several recent phones that will work with the new Straight Talk SIM service. Enjoy! Mary, The LG A340 AT&T phone will work on Straight Talk SIM without being unlocked. It is an AT&T locked phone that operates on the 850 and 1900 Mhz bands, so therefore it will work with Straight Talk SIM. However, because the LG A340 is just a standard phone, I would suggest that you consider just getting a regular phone from Straight Talk directly (see our previous post on how to save on Straight Talk phones), as they are fairly inexpensive and give you the option of going with either the $30/month 1000 minute, 1000 text, 30Mb data plan or the $45/month unlimited plan. which SIM should I get for the iPhone 3GS? the mini or regular? You don’t need an unlocked iPhone 3GS. 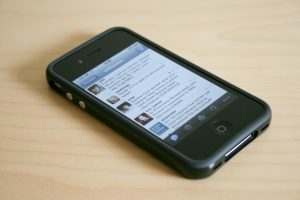 You can get an AT&T 3GS and use it with Straight Talk. when switching a t-mobile phone to straighttalk, will it still run off t-mobiles towers? t-mobile has HORRIBLE service in my area, 99% of the time there is no service at all..wondering if I switch it to straight talk will it still ues the same towers and have no service. Kenny, Yes – If you buy the T-Mobile SIM, it will use T-Mobile’s towers primarily, falling back on AT&T if needed; however I would expect coverage to be similar. However if you unlock the phone and get the AT&T SIM, you might have better results. Can I switch my iPhone 5 over to straight talk? If I can how would I do it? Will everything on my iPhone 5 still work? Like my cam, apps, texting? Yes, you sure can. See our article on the iPhone & Straight Talk. Everything will work and you’ll save tons. Your phone is locked. Call AT&T to get it unlocked, then use the wizard on Straight Talk’s site to select the correct SIM. I recently purchased a alcatel straight talk phone without a sim card and am having trouble finding the right sim card to purchase. I read that straight talk phones will not work with sim cards by at&t or Verizon. My home screen says “no sim card” and would like to transfer my current straight talk number to this Alcatel One Touch phone as soon as possible.